This article appeared in Fermilab Today on Sept. 30, 2014. 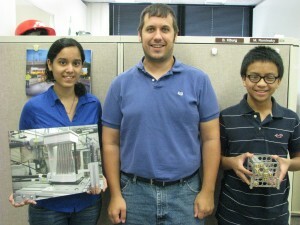 As an eighth grader, Paul Nebres took part in a 2012 field trip to Fermilab. He learned about the laboratory’s exciting scientific experiments, said hello to a few bison and went home inspired. Now a junior at the Illinois Mathematics and Science Academy (IMSA) in Aurora, Nebres is back at Fermilab, this time actively contributing to its scientific program. He’s been working on the Muon g-2 project since the summer, writing software that will help shape the magnetic field that guides muons around a 150-foot-circumference muon storage ring. Nebres is one of 13 IMSA students at Fermilab. The high school students are part of the academy’s Student Inquiry and Research program, or SIR. Every Wednesday over the course of a school year, the students use these weekly Inquiry Days to work at the laboratory, putting their skills to work and learning new ones that advance their understanding in the STEM fields. The program is a win for both the laboratory and the students, who work on DZero, MicroBooNE, MINERvA and electrical engineering projects, in addition to Muon g-2. This year roughly 250 IMSA students are in the broader SIR program, conducting independent research projects at Argonne National Laboratory, the University of Chicago and other Chicago-area institutions. IMSA junior Nerione Agrawal, who started in the SIR program this month, uses her background in computing and engineering to simulate the potential materials that will be used to build Muon g-2 detectors. 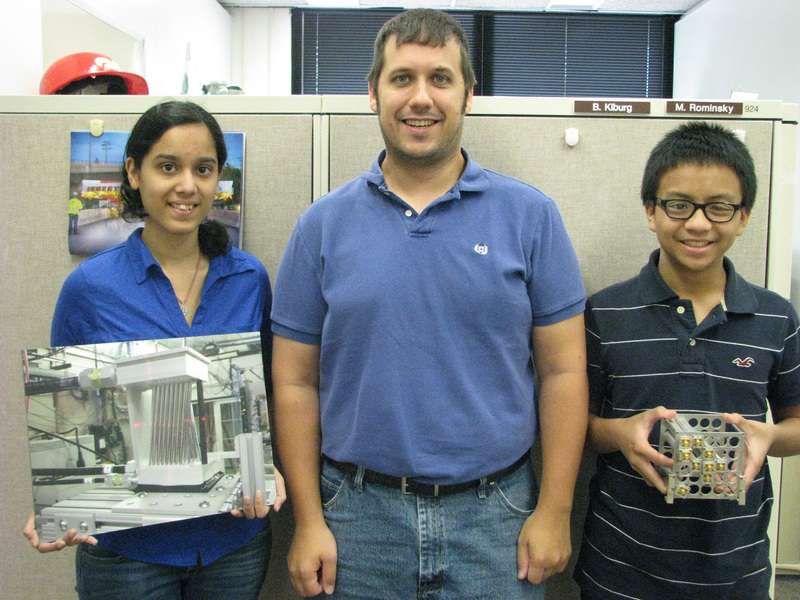 The opportunities for students at the laboratory extend beyond their particular projects. In April, every SIR student will create a poster on his or her project and give a short talk at the annual IMSAloquium. Kiburg encourages other researchers at the lab to advance their projects while nurturing young talent through SIR.